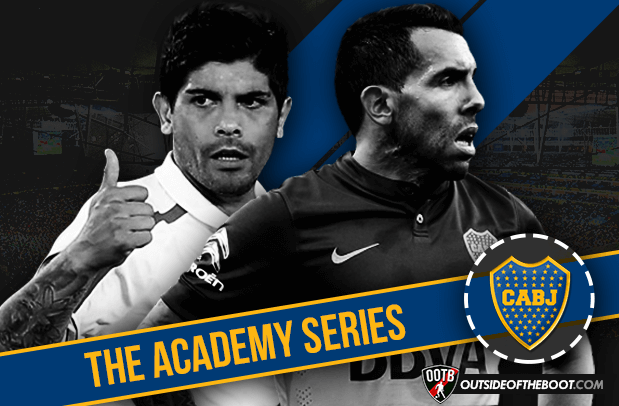 This part of the series looks at one of the most famous teams in the world- Boca Juniors. Recently crowned Argentinian Primera champions Boca Juniors are undisputedly one of the biggest and most successful clubs in South America and over their celebrated history have brought through countless players who have gone on to make a huge impact in the game. Since their foundation in 1905, their academy has produced international stars such as infamous Antonio Rattin and world cup winners Oscar Ruggeri and Alberto Tarrantini. Many of the players most associated with the blue and gold of Boca Juniors though didn’t actually come through their academy. Club icons such as Maradona and Riquelme both began their careers at Argentinos Juniors, while all-time top scorer Martin Palermo started out at Estudiantes. As one of the biggest sides in the continent with a larger budget than most in the domestic league, they’ve long been able to rely on their ability to hoover up talented youngsters from smaller clubs. However, with the club enduring a lean spell during the nineties, the focus was shifted away from buying big stars and towards a policy of concentrating more on youth development. Since then, Boca have reaped the rewards with a bevy of domestic and continental titles flooding in during the early 2000s, as well as making vast sums on exporting their home-grown stars across the Atlantic. 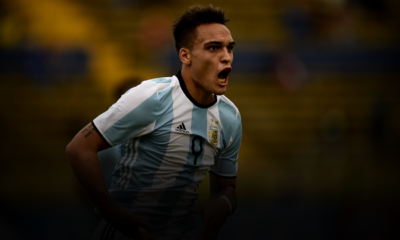 As European clubs scouting networks increase, many of Argentina’s young prospects are snapped up before making the traditional stepping-stone move to a Boca or River, which has in turn made these giants more reliant on producing their own talent. Without the doubt the most successful player Boca have produced in the last twenty years. Hailing from the rough neighbourhood of Fuerte Apache in Ciudadela, the hard-working forward made his debut as a 16-year-old for Boca and quickly became a cult hero among the fans due to his never-say-die attitude and important goals. Very much seen as the “people’s player”, Tevez is also a serial winner, helping Boca to a league title, the Libertadores and Intercontinental Cups in 2003 and the Sudamericana in 2004, as well as up picking three consecutive South American Player of the Year titles between 2003 and 2005. A move to Corinthians followed and Tevez added another league championship before his and Javier Mascherano’s controversial move to West Ham where they helped the Hammers to Premier League safety. Two league titles and a Champions League winners’ medal were added to his collection at Manchester United and then another league title and a FA Cup at rivals City. Tevez traded Manchester for Turin and promptly helped the la Vecchia Signora to two Serie A triumphs and a Champions League final. Having long stated his desire to return to Boca, he finally made the move this summer and has already steered los Xeneizes to a league and cup double, cementing his legend among the Boca faithful. Another player back where he started at Boca, Fernando Gago emerged as a classy, deep-lying midfielder in late 2004, having been on the books of the club since 1991. Dynamic and with an excellent range of passing, Gago quickly established himself in the side despite his tender years and won two league titles and a Sudamericana, as well as an U20 World Cup with Argentina, before his move to Real Madrid for €20m. Immediately earning comparisons with former Madrid man Fernando Redondo, Gago won La Liga in both of his first two seasons but injuries began to take their toll and he fell out of favour at the Bernabeu. Spells at Roma and Valencia didn’t work out and he returned to Argentina with Velez but was largely injured before rejoining Boca in 2013. At international level though he continued to play a big role in Alejandro Sabella’s Argentina side and is link up with Messi was a particular important feature of their play during the qualifiers. On his day Gago remains one of the better midfielders in the Primera, even though he hasn’t hit the heights of his first spell. The attacking midfielder made his Boca debut midway through 2008 and was a regular in the Apertura winning squad, usually as an impact player from the bench. During his two years at Boca Gaitan displayed his dribbling and close control, chipping in with a decent goal tally, and Benfica shelled out €8.4m – their second highest transfer fee at the time. He has since become an integral member for the Aguias, capable of playing on either flank or in the number 10 role, and has laid on numerous assists during his five years in Lisbon. Persistent rumours have linked him to a move to a bigger club and now at 27 you feel he is on the cusp of a step up. Surprisingly Gaitan has only picked up 11 caps for Argentina, due more to the current wealth of attacking talent at their disposal, but is beginning to become more of a regular feature for the Albiceleste. The most decorated player in Boca’s history having won 17 titles with los Xeneizes, it’s somewhat surprising that Battaglia didn’t spend more time in Europe. Aside from a year and a half with Villarreal in which he struggled to settle in and recapture his Boca form, the tough tackling defensive midfielder spent his entire career at the Bombonera. 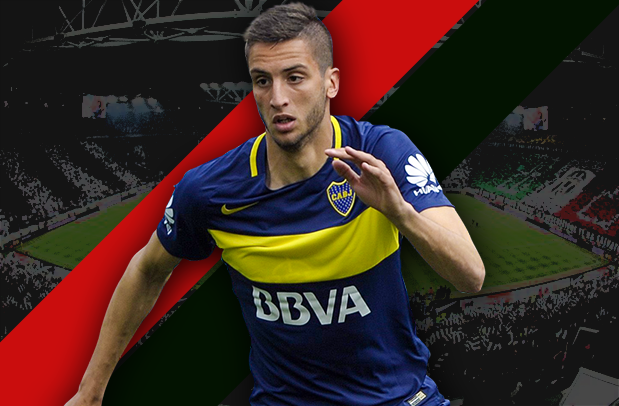 More than just a destroyer, Battaglia was a typical Boca youth product in terms of his combative spirit and lion-hearted displays but he combined these characteristics with good positioning, decent passing and strong aerial ability. Knee injuries curtailed his career but a roll call of seven league titles, four Libertadores, one Sudamericana, two Intercontinental Cups, three Recopa Sudamericanas speaks for itself. The solid centre back debuted for Boca at the age of 18, making over a hundred appearances before crossing the Atlantic to continue his career in Italy. During his time at Boca he won two league titles and three Libertadores and was in the Argentina squad that won the 2001 U20 World Cup and also the Olympic squad that claimed gold at Athens 2004. A regular for the Inter team that dominated Serie A post-Calciopoli, Burdisso won four league titles before moving to Roma, where he briefly linked up with his younger brother Guillermo. Now captain of Genoa, the veteran defender has spent over a decade at the top level in Italy but has often reiterated his desire to end his career at Boca. Although he only joined Boca as a 19-year-old from Los Andes, it was in the famous blue and gold that the attacking full back Rodriguez made his senior debut and would go on to make significant contributions in three separate spells at the club. His forays down the left were a key attacking outlet for Boca, first in the early 2000s winning two leagues and two Libertadores, then during a loan spell that ended in another Libertadores triumph in 2007, before returning permanently in 2010 to add another league and Copa Argentina. Similar in appearance and style to Roberto Carlos, Clemente also turned out for Spartak Moscow, Espanyol, Estudiantes and Sao Paulo in a globe-trotting career, which now sees him still going strong at Colon. When Gago left, there were worries about how Boca would replace their talismanic midfielder. Fortunately they had possibly an even better understudy waiting in the wings in the form of Ever Banega. Blessed with great vision and a fantastic range of passing, Banega made an instant and lasting impression despite only spending a year in the Boca first team in which he helped win the 2007 Libertadores. He was also one of the stars of the Argentina U20 side along with Sergio Aguero and Angel Di Maria who won the 2007 U20 World Cup and these performances convinced Valencia to swoop for the elegant midfielder in a €20m move. It took a bit of time for Banega to adjust to life in Spain but eventually became a regular at the Mestalla. A few unfortunate automotive accidents and off-field distractions occasionally saw his form dip but on his day there are few better midfielders around. Now getting regular football at Sevilla and reaching his prime, it could be the moment for Banega to step up and become an influential figure for an Argentina national team that is not blessed with central midfield options. 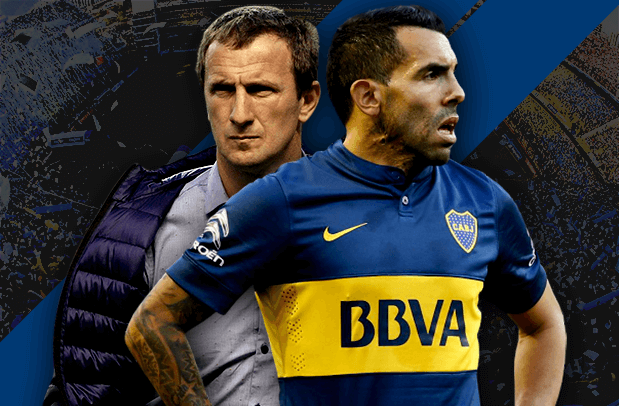 A peculiarity on the list because, as well as having a great playing career, he is now the current manager of Boca. Known as el Vasco for his Basque roots, Arruabarrena made his debut in 1993 and spent 7 years with the Buenos Aires giants, winning two leagues and a Libertadores before joining Villarreal. A stalwart at the Madrigal for several years, the left back was part of the Submarino Amarillo squad that reached the semi-finals of the Champions League, even scoring goals en route against Rangers and Inter Milan. 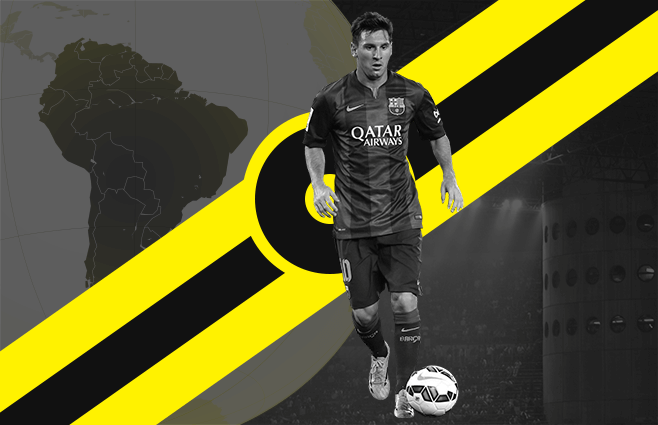 He finished his career with spells at AEK Athens, Tigre and Universidad Catolica in Chile before quickly moving into management. Back at Tigre, Arruabarrena saved the club from relegation whilst coming a whisker away from winning the league and then had a spell at Nacional in Uruguay. In charge of Boca since August 2014, he has already guided the club to a historic league and cup double and looks to have a bright managerial career ahead of him. Back up goalkeeper during their successful spell in early 2000s, Caballero moved to Spanish second division side Elche without having made much of an impression in his homeland. After a difficult start, he became first choice for los Franjiverdes and almost achieved promotion to La Liga in 2011 only to miss out on away goals to Granada. Due to a goalkeeping crisis at Malaga, Caballero was signed for a paltry €900k midway through the season but helped avoid relegation and consolidated his position. He finally gained some recognition during Malaga’s surprise run to the quarter-finals of the 2012/13 Champions League under Manuel Pellegrini and calls grew louder for a call up to the national team. He teamed up with Pellegrini again, this time at Manchester City, where he is back up to Joe Hart. One of a number of good, if not outstanding, defensive players who have emerged from Boca in recent years. Juan Forlin, Matias Silvestre and Ezequiel Munoz have all become reliable players for mid-ranking teams in Spain and Italy but Roncaglia, now at Genoa after a spell at Fiorentina, is probably the pick of the bunch. A regular for the Boca side that won the 2008 Apertura, the versatile defender then spent a year on loan at Espanyol and then at Estudiantes where he won another league title. He returned to Boca and re-established himself as a key component of a solid defence under Julio Falcioni, winning a third Apertura title. Following defeat in the Libertadores final he moved to Fiorentina and has since been ushered into the Argentina national team set up as a back-up to Pablo Zabaleta. Boca have continued their good recent track record in producing and developing young talent and have a particularly promising crop currently emerging. 22-year-old striker Jonathan Calleri came through at All Boys but has had a great breakthrough season at Boca and it won’t be long until he is snapped up by a European club, while the pacey forward Cristian Pavon, signed from Talleres, is another interesting option up front. Of those solely home-grown prospects, 19-year-old diminutive defensive midfielder Andres Cubas already looks a composed presence at the base of the midfield, dynamic Uruguayan Rodrigo Bentancur has seen plenty of first team action under Arruabarrena, and Franco Cristaldo has featured less but looks to provide a goal threat from midfield. A few of Boca’s finest jewels have already made the move to Europe with playmaker Leandro Paredes on loan at Empoli from Roma, wonderkid Guido Vadala at Juventus as part of the Tevez deal and Leo Suarez making a name for himself for Villarreal B. Nevertheless, there are plenty of remaining youngsters on the verge of breaking into the first team such as defender Juan Komar, midfielders Tomas Pochettino, Ivan Leszczuk and Nahuel Cisneros, as well as U17 internationals Julian Chicco and Matias Roskopf.